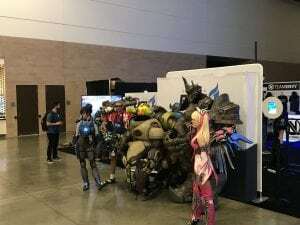 September 27, 2018 | By Fatima V.
We had a successful OP Live Dallas gaming expo with 1500 attendees. The event was done in collaboration with eGency Global and SMU Guildhall. More than $500 was raised at the event for Children’s Health and more than 40 gamers were registered to fundraise for their local CMN hospital on game day in November. To view a highlight video of the event go to https://vimeo.com/292009609.